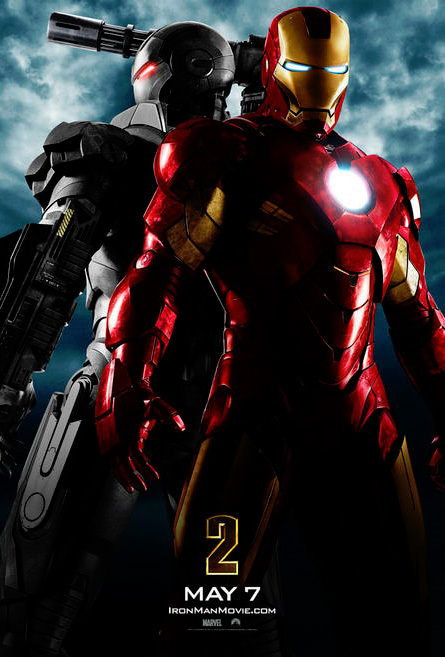 After Iron Man 2's debut on Empire magazine, Yahoo! just released the very first poster of the film. featuring Iron Man's Mark IV armor and the much anticipated War Machine armor. See the poster after the jump. The poster did a good job. Now I'm very excited to see the trailer (not the bootleg).